Recorded first by The Clancy Brothers and Tommy Makem and later by The Pogues And The Dubliners. I have included the basic letter notation for recorder or flute players, the most popular is the one in the key of D, but I also worked it out in the key of G which is the second one. 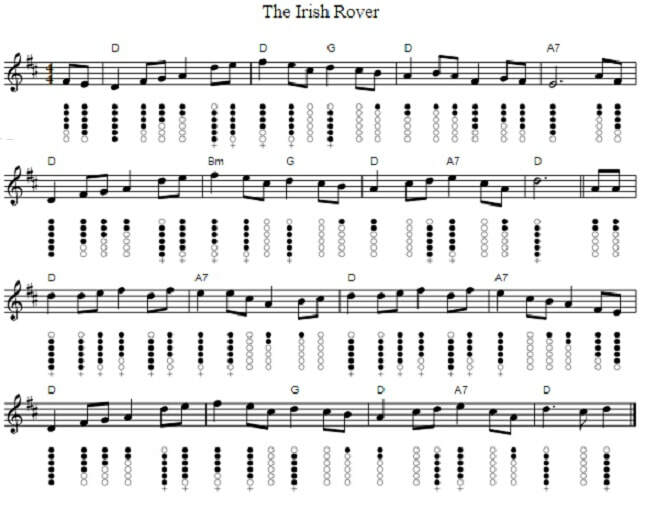 ​Irish Rover Key Of D 8 Beats, same as video. These are the easy to play letter notes. All the f notes are sharp. 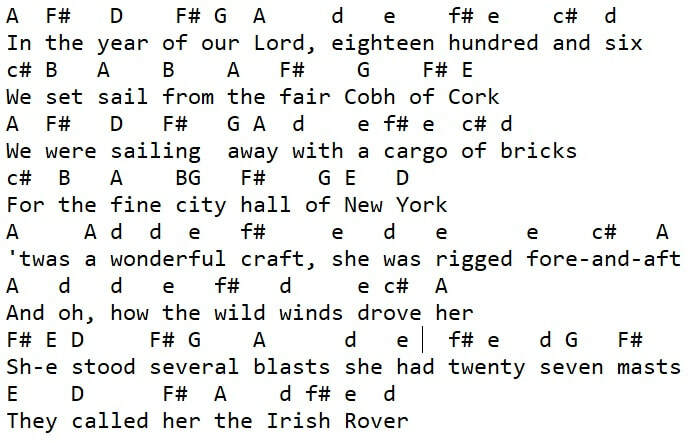 The CAPITAL letters are the low notes below B and all the lower case one's are the higher notes. 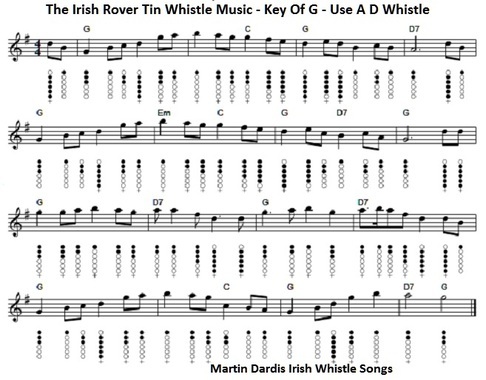 The Irish Rover tin whistle notes in the key of G but to be played on the D whistle.